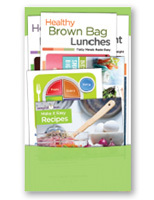 Our brochures offer informative and compelling wellness education that's both affordable and quick to read. They are just the right size to accompany paychecks or other workplace communications. They are also a great addition to wellness events such as health fairs, lunch-and-learns or open enrollment. NEW PHOTO FORMAT! Focusing on sleep problems & solutions. NEW PHOTO FORMAT! Learn how to get the most from your medicine with this informative brochure. 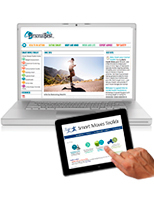 Personal Best is part of Ebix Benefits Administration and Wellness Publications. Ebix Employee Benefits and Wellness is a leading provider of consumer health information and benefits management solutions for some of the nation’s leading benefits brokers, employers, healthcare organizations, and educational institutions. Copyright © 2018 Ebix Inc. All rights reserved.